A surgical transplant involves removing organs or tissues from one person and replacing them with corresponding ones from another part of that person's body or from another person. The idea of surgical transplantation dates back several centuries, but it has become a practical medical approach only in the last few decades of the twentieth century. The main reason is that the body naturally rejects foreign tissue placed inside it. Only since the mid-twentieth century have doctors begun to learn more about the body's immune system and how to suppress it's natural rejection response. The idea of transplanting animal or human parts dates back for many centuries. In the sixteenth century, a transplantation technique was developed for replacing noses lost during battle or due to syphilis (an infectious disease contracted through sexual contact). The technique involved using skin from the upper inner arm and then grafting (transplanting) and shaping it onto the nose area. During the nineteenth century, advances in surgery (like the development of antiseptic surgery to prevent infection and anesthetics to the lessen pain) increased the success rates of most surgical procedures. However, transplantation of organs failed as surgeons had no knowledge of how to "reconnect" the organ to the new body. Transplant surgery did not move ahead until doctors developed techniques for reconnecting blood vessels in the early twentieth century. Graft: Bone, skin, or other tissue that is taken from one place on the body (or, in some cases, from another body) and then transplanted to another place, where it begins to grow again. Immune system: The body's natural defense system that guards against foreign invaders and that includes lymphocytes. Immunosuppressant: Something used to reduce the immune system's ability to function, like certain drugs or radiation. Lymphocytes: A type of white blood cell that is involved in the body's immune response. The next major advance in transplantation did not occur for more than 40 years. 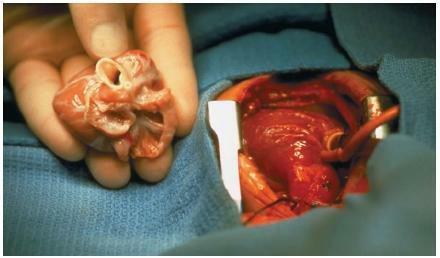 Although kidney transplants were attempted, the recipient's body always rejected the organ. Researchers experimenting with transplants began to suspect that the body's rejection of the implanted organ was an immune system response to foreign tissue. During World War II (1939–45), British biologist Peter Medawar (1915–1987) became interested in skin graft problems while working with severely burned soldiers. He soon proved that the rejection was due to the immune system, which attacked the foreign tissues or organs as foreign invaders, much the same way it works to ward of viruses and other disease. The first successful human kidney transplant took place at Loyola University in Chicago, Illinois, in 1950. In the years following, however, most transplants resulted in rejection (only those between identical twins were successful). As a result, scientists began to focus on controlling the immune system so it would accept the transplant. In 1967, Christiaan Barnard (1922– ), a South African surgeon, received worldwide notoriety for achieving the first successful heart transplant. Barnard took the heart of a young woman and implanted it in Louis Washansky, a 55-year-old grocer. Washansky survived only 18 days. Barnard's second patient, dentist Philip Blaiberg, lived for 17 months. The next major advance came in 1972 with the discovery of cyclosporine, an extremely effective immunosuppressant. This drug has proven to be the most effective medicine used to combat the body's own immune system. It has increased survival rates for transplant patients, especially in heart and liver operations. Because transplantation of both lungs succeeds better than transplanting a single lung, and because most patients with lung disease also have serious heart deterioration, heart-lung transplants are sometimes performed. The first successful operation of this type was carried out in 1981 at Stanford University Medical Center by Bruce Reitz (1944– ) and Norman Shumway (1923– ). In September 1998, in a landmark operation, a team of microsurgeons from four countries spent fourteen hours delicately attaching the forearm and hand from a dead Frenchman to Clint Hallam. The only other reported hand transplant before this took place in Ecuador in 1964, but it had failed because potent immunosuppressant drugs had not yet been developed. The Hallam transplant, however, was doomed from the beginning. Before the operation, Hallam had told doctors he had lost his hand in an industrial accident. The truth was that it had been severed in an accident in a prison in his native New Zealand. After the operation, Hallam agreed to adhere to a physical therapy program to train his new hand and to a regimen of immunosuppressant drugs. But he did neither. Finally, in February 2001, because Hallam's body was rejecting the transplant, a doctor who had helped attach the hand amputated it. The lesson doctors learned from this transplant, though, were not lost. Between the end of 1998 and the beginning of 2001, nine other people received new hands in six countries. All were reported doing well. Three of those patients even received right and left hands in double transplants. to control. (Lymphocytes are white blood cells, the body's main infection-fighting agents.) Cyclosporine is very expensive and has serious side effects, including possible kidney damage, elevated blood pressure, seizures, and other nervous system disorders. Research on how to selectively control the immune system continues. Another problem facing the field of transplantation is the extreme shortage of available donors. Although transplantation is now a relatively common operation with thousands of surgical transplants performed in medical centers throughout the world each year, many people who need a transplant do not receive one. Nearly 20,000 people die in the United States each year who would have been suitable organ donors. But only about 3,000 of these organs are ever donated and harvested. very good site. gives clear information about what the user want.and have simple langauge easily understand by every individual. My name is Nadia and i'm very intrested in being a Surgeon, specially in heart transplants and brain tumors. i would love to talk to a specialist because i'm really pushing my self to get on my way of medicine. I hope i get a answer soon from you!Thank you! This site really helped me to gain my understanding about the heart transplantation. Although it starts from very basic information but still very helpful. This site is very cool..I can get some information I needed..I hope that when I want to get answers from my research..I can get it from here..by the way..the article about the smallest heart is really cool..It's the first time I know about it..and I'm really thankful..
That site is so useful for all biology interested student . That useful for me for my project on immune system.